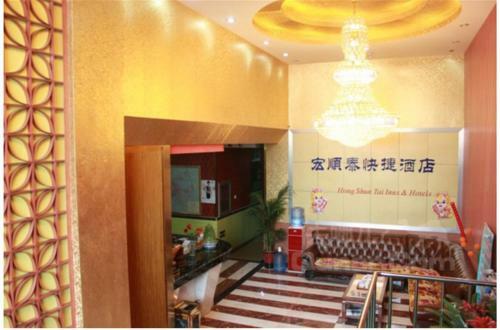 Accepting only Mainland Chinese citizens, Beijing Hongshuntai Apartment is situated in Beijing, 3.2 km from Beijing National Stadium - Bird Nest and 3.2 km from Yonghegong Temple. Conveniently located in the Chaoyang district, the property is set 4 km from Guijie Street and 5 km from Nan Luo Gu Xiang. The property is located 5 km from Houhai Bar Street. Guest rooms in the hotel are equipped with a TV. Every room comes with a private bathroom. Shichahai Area is 6 km from Beijing Hongshuntai Apartment. Beijing Capital International Airport is 18 km away.